Are you craving for a vacation? What could be a better vacation destination that Goa? Goa is a great place to go on a vacation. 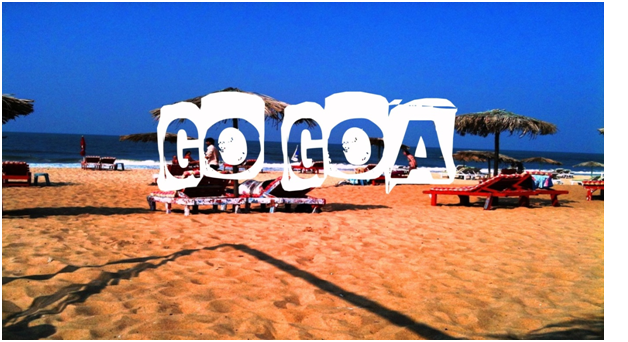 From top-notch parties to great adventure sports, Goa has them all. If you chose to spend a vacation relaxing in Goa, you can take yoga lessons on the beaching or walking on the beach. If you choose to have an adventurous trip, then you could do a lot of things in Goa. From learning to surf to the beach to taking a hot air balloon ride, Goa has a variety of amazing adventure sports to thrill you up. Here are a few ways to really get your adrenaline pumping. If you find yourself seeking adventure in Goa during the monsoon, then river rafting in Goa is the most exciting sport. Feel the powerful force of the river. Have an exciting thrill with every wave. White water rafting is fun as well as a dangerous sport. Make sure to wear your helmet, life jacket and follow all the safety instructions carefully. An adventure boat cruise is the perfect combination of adventure and fun. Adventure boat cruise is a great way to enjoy food, music, dancing, and various adventure sports. You can go swimming, snorkelling,and kayaking in Goa. All these activities out in the deep blue sea are a very enriching experience. You can also get a chance to watch dolphins. This is overall a great way to enjoy fun and adventure in Goa. Goa is a great place to learn and enjoy surfing. There are quite a few great places to learn surfing in Goa. All most all schools have similar pricing ranges and have great standards of teaching. Get a chance to experience world-class quality in terms of teaching as well as equipment. The rentals for the surfboards are pretty cheap as well. This will be a very full filling experience as well. Hot air balloon is one of the most enticing adventures you could have in Goa. Goa is a great place to try this sport as well. Imagine the view of the ocean to one side and the seashore on the other. The pilot on board will take you to different levels of height as well. The ground staff will also follow you and trace you so that you have a safe landing. Take great pictures and take back home a lot of memories. Goa is a great place to meet new people from all over the world. Goa has the vibe that can bring smiles and laughter to anybody’s life. It would be a great adventure to meet likeminded people from all over the world and try out some new forms of adventure sports. Make sure you carry your hippy and party clothes. Take lots of sunscreen, sunglasses and don’t forget your camera. Bring back home a whole world of memories.